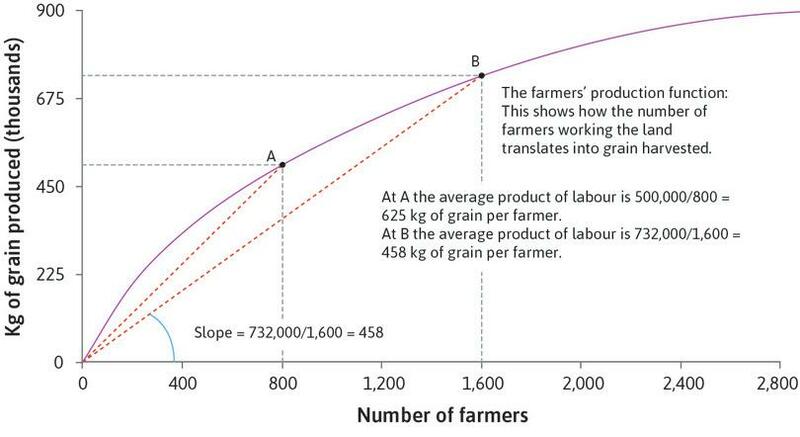 In our model of an agricultural economy, the production function shows how the output of grain depends on the input of labour—that is, the number of farmers working the land. Here we demonstrate how to represent the production function mathematically, and describe its properties. The farmer’s production function: Diminishing average product of labour. Figure 1 The farmer’s production function: Diminishing average product of labour.